Sorry for keeping you waiting for this belated review! I've been literally procrastinating to upload this but! 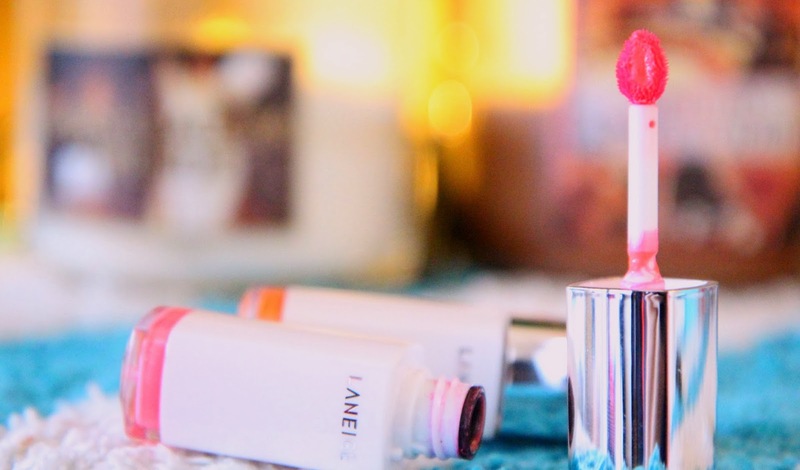 I thought this review was worth to write on :) This is my FAVORITE LIP TINT so far. Here's my opinion on the two colours from Laneige Water Drop Tint. Peach Coral and Neon Pink. : Great. Straight to the point with the color chips on the bottom and surprisingly the color chip is quite true to the real color. : Look how adorable the applicator is. It's water drop shaped and slightly slanted which makes it easier to apply on your lips. It's smooth and soft on your lips and it does a great job on picking up the right amount of product. : Feels juicy for a tint formula. It's very different from the kind of texture you get if from Benetint or Posetint which dries up your lips so badly it cracks at the end. 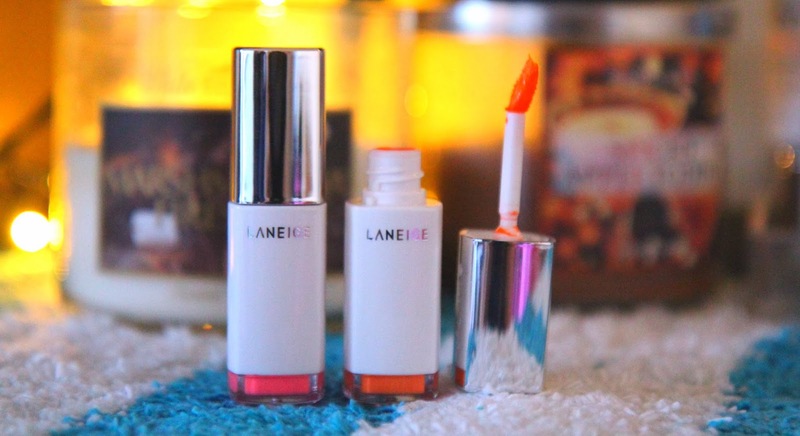 Laneige Water Drop Tint maintains your lips hydrating and leaves that beautiful glossy finish. But I wouldn't say the hydration lasts trough out the day. A lip balm underneath would definitely help maintaining your lips from drying. : I want to say the pigmentation is AWESOME. I am sure you experienced with some lip tints that gets darker or more pigmented on your lips than you thought. For example, I bought Posetint expecting to be a light baby pink color, but it gradually turned to be cherry red on my lips, which was a bummer. That was the major reason that I was neglecting to be interested in any lip tints. However, Laneige Water Drop Tint's pigmentation and the color payoff didn't disappoint me at all. It stained my lips as I expected and it stayed as that colour for a few hours. The colour pay-off was mind blowing as well. FYI, I recommend you to use lip & eye remover to remove the stain that's remaining on your lips at the end of the day. Normally lip stains take away your natural lip colour! : You know how I'm so obsessed about coral colours! 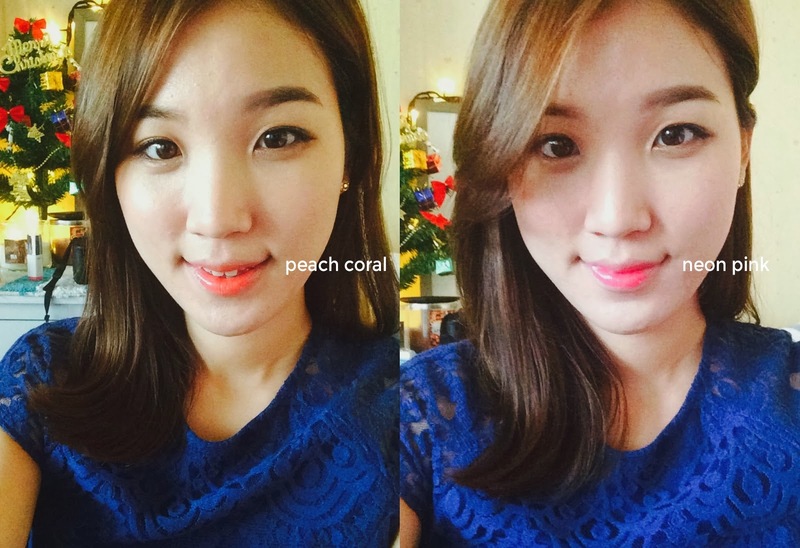 Once you apply this colour, it's a peachy coral but if you keep layering the colour, it becomes an orange tinted coral. :) It's beautiful and makes you look so healthy! : I am always very careful of applying pink tones on my lips since it contrasts with my yellow under tone. 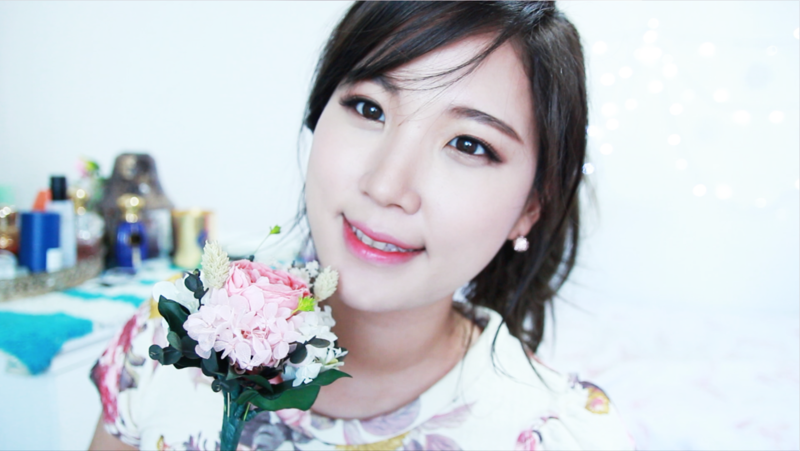 But Laneige Water Drop Tint #2 Neon Pink actually brightens and enhances my complexion! Whoaa. :D You can also intensify this colour to get a bright fluorescent pink. Laneige Water Drop Tint (KRW 22,000) click here to purchase! NEON PINK!!! I adore... both colors are beautiful on you. I might have to look into this one. Not a huge lip tint fan but since this has a glossy finish, I could probably favor it. You would! 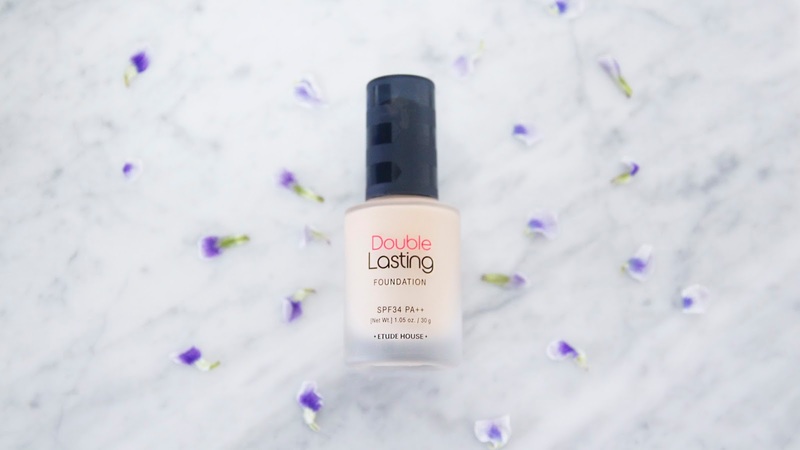 It's unlike the drying lip tints that only stains you lips! Aww that scarlet red looked really nice as well! Nice to see Laneige stepping up their game finally. These look great! Hehe thank you for the compliment! ugggh i love me some korean lip tints and i'm glad to hear that these weren't drying!!! that's such a huge deal since tints are almost always drying. i love the tip about putting it in the center of your lips first.